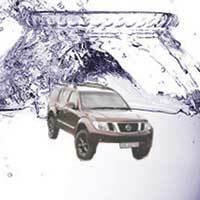 Nissan SA continues to pretend ignorance of an intrinsic defect in the gearbox coolant systems of various of its models causing breakdowns and need for expensive repairs - see Nissan story in this issue - but now we've discovered it's an outrageous lie. Already in October last year Nissan lost a class action in the USA and was ordered to extend warrantees and pay for repairs occasioned by the faulty radiator assembly. On October 9, 2012, the United States District Court for the Southern District of New York, White Plaints Division, preliminarily approved the settlement of a Class Action Lawsuit. The settlement resolves a lawsuit about Nissan’s obligation to pay for repairs to 2005-2010 models of Nissan Pathfinder, Xterra or Frontier vehicles with automatic transmissions that require repair as a result of a crack in the radiator assembly leading to internal leakage of engine coolant, which potentially may occur at higher mileages in these vehicles after the expiration of Nissan’s warranty. The settlement will provide various benefits to all current and former owners and lessees of 2005-2010 model year Nissan Pathfinder, Nissan Xterra and Nissan Frontier vehicles in the United States and its territories, including Puerto Rico, excluding fleet and governmental purchasers and lessees, who have experienced or who will experience this internal leakage condition up to 10 years or 100,000 miles, whichever occurs first. The class settlement benefits include an extension of Nissan’s warranty coverage in the New Vehicle Limited Warranty on the radiator assembly to 10 years/100,000 miles, whichever occurs first, subject to certain customer co-pays that vary with age/mileage above 8 years/80,000 miles. This extension covers the radiator and component parts, and includes damage, repairs, replacement and related towing resulting from this issue. The class settlement benefits also include a reimbursement benefit, subject to certain customer co-pays that vary with age/mileage above 8 years/80,000 miles, to settlement class members who already have paid to have a radiator assembly or other affected components repaired or replaced due to the internal leakage condition, if the repair/replacement would have been covered under the warranty extension. Car dealers & manufacturers lying? Say it ain't so!! In my experience they're as pure as the driven snow.